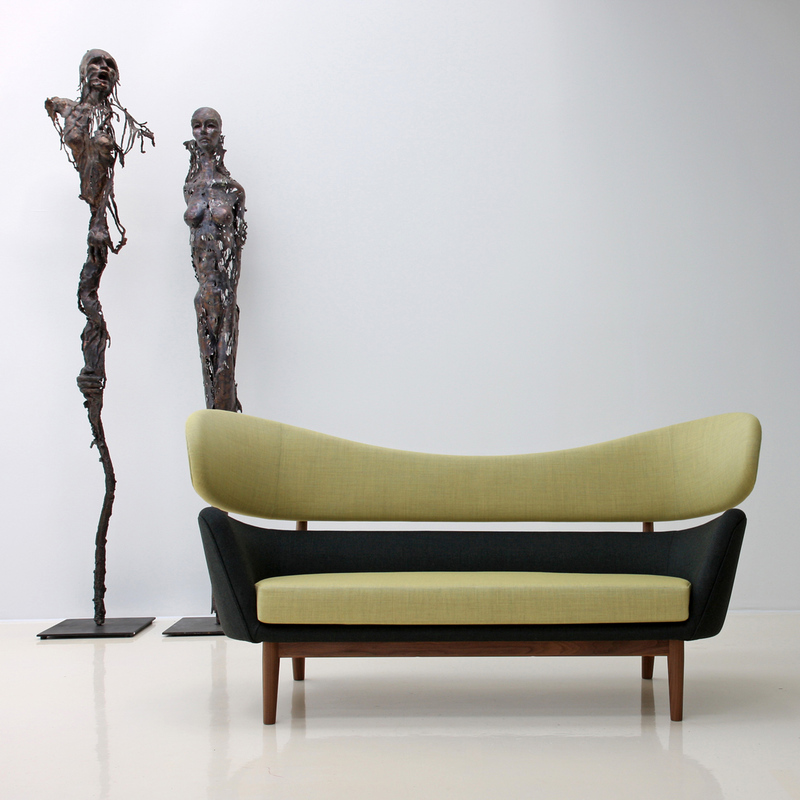 The sculptural forms are inspired by the modern free art, which interested Finn Juhl very much. 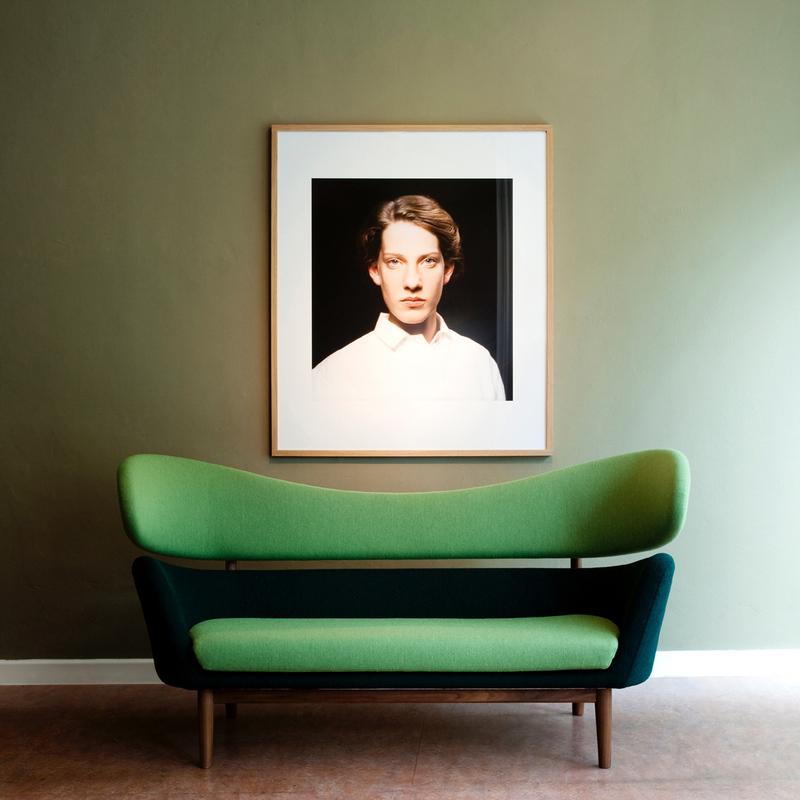 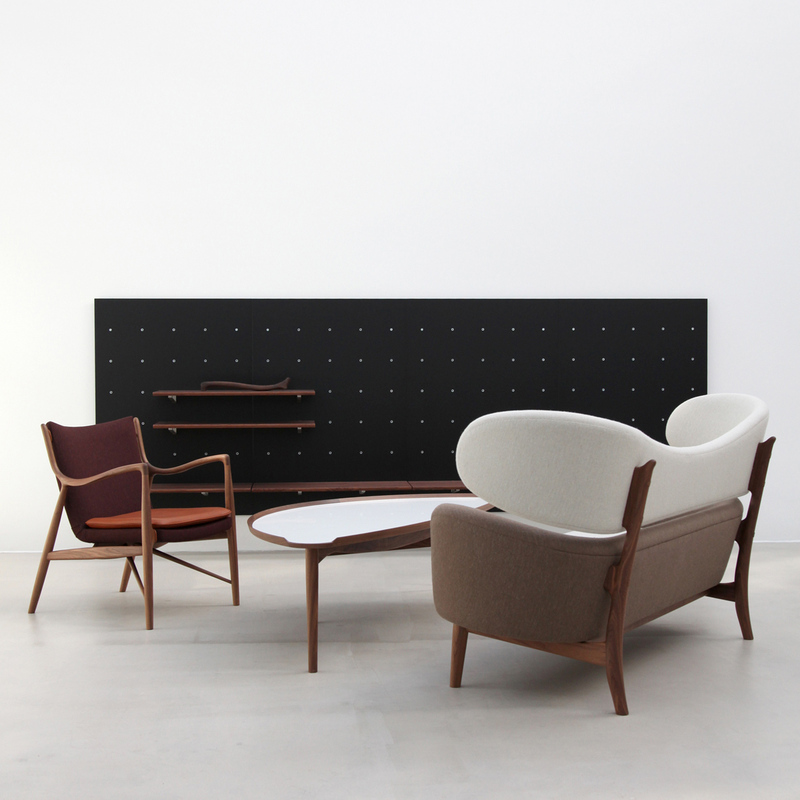 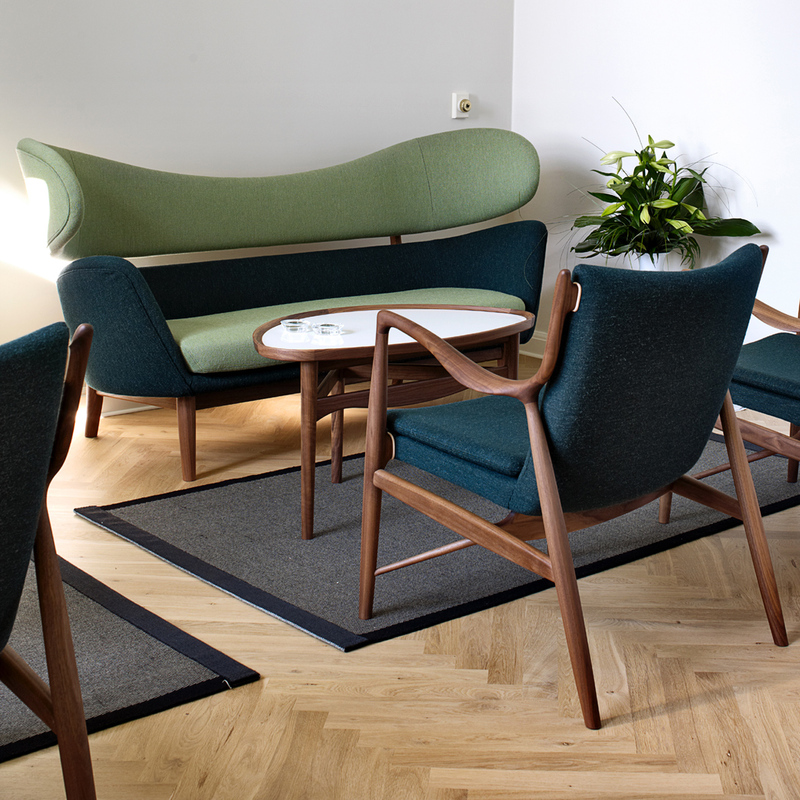 The sofa has an upholstered body divided in two, resting upon an elegant and light construction of wood – a typical example of how Finn Juhl separated the elements in order to create a visual lightness. 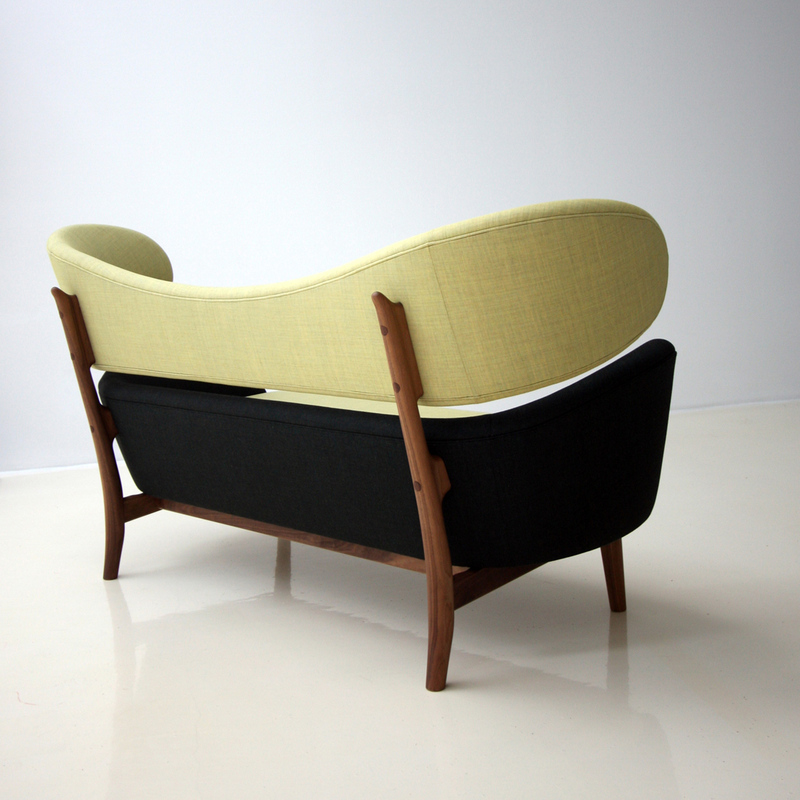 Dimensions: H: 50 cm, L: 160 cm, W: 78 cm. 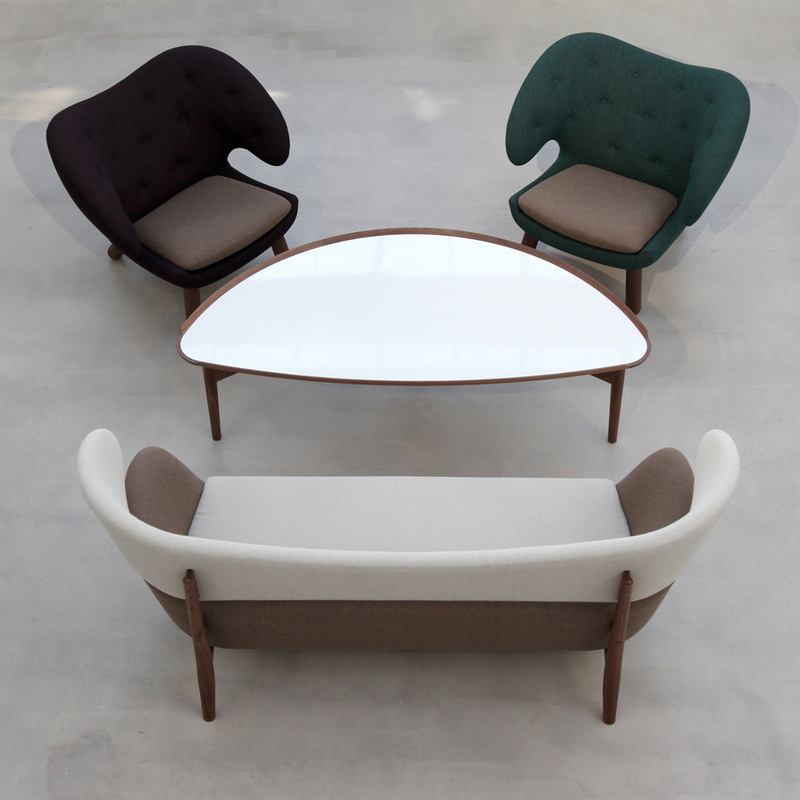 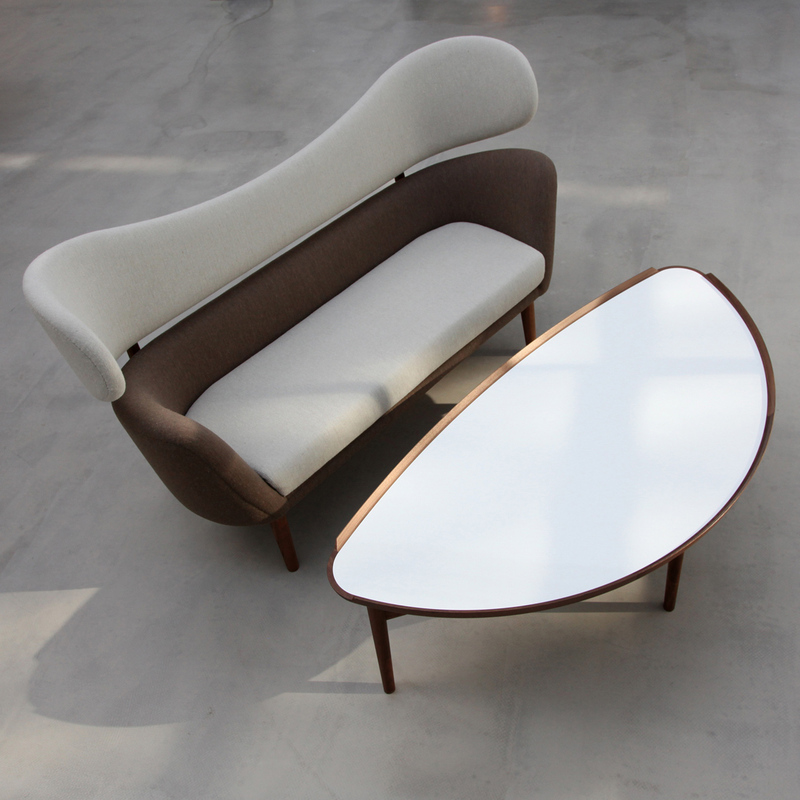 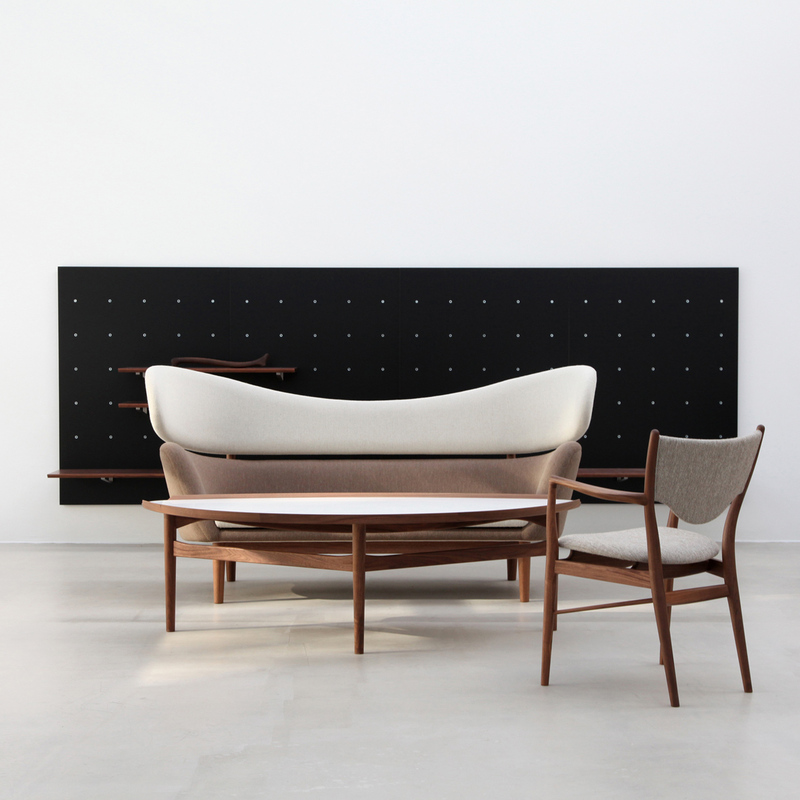 To match the Baker Sofa Finn Juhl designed the eye-shaped sofa table. 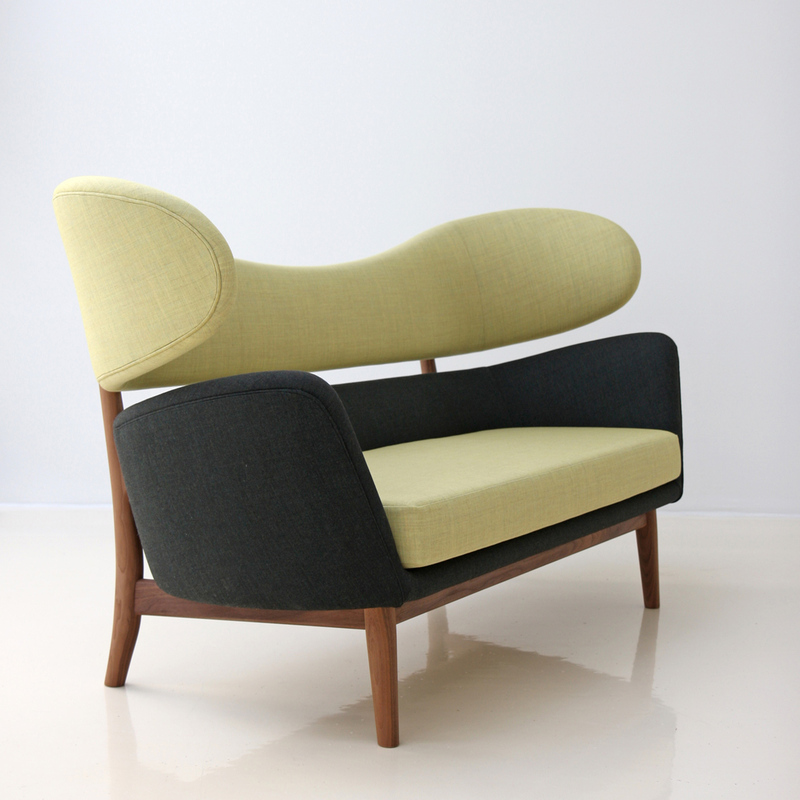 The designer was at that time much inspired by modern art especially by Picasso and Henry More. 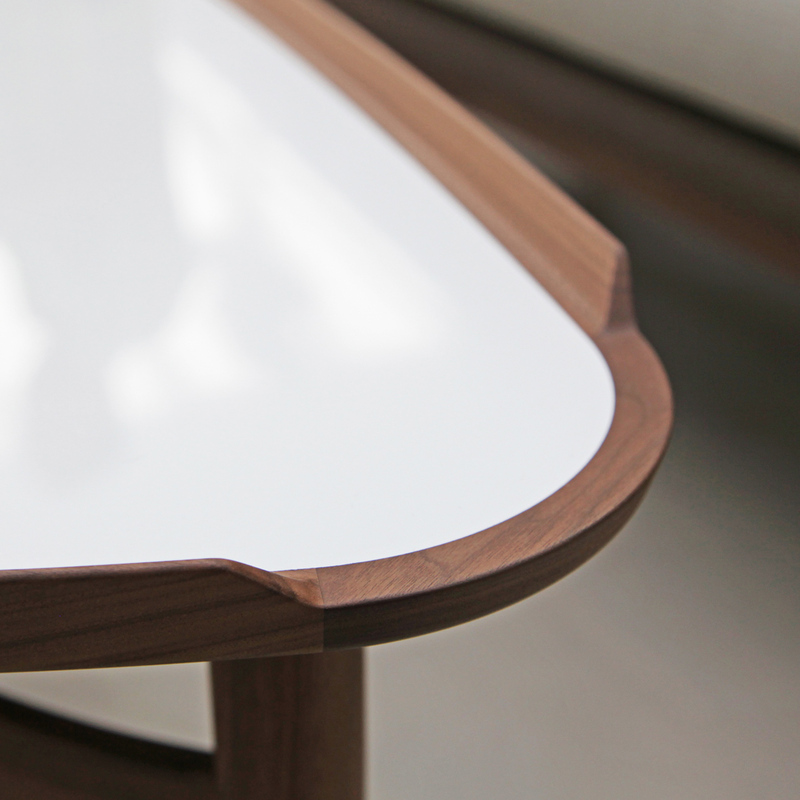 The sofa table is either in oak or walnut with a white desktop in high lustre.